The Ingenico 7800 GIFT CARD AND CREDIT CARDS, debit and EBT card processer is designed to bring complete mobility to merchants, making it the ideal pay-at-table solution. 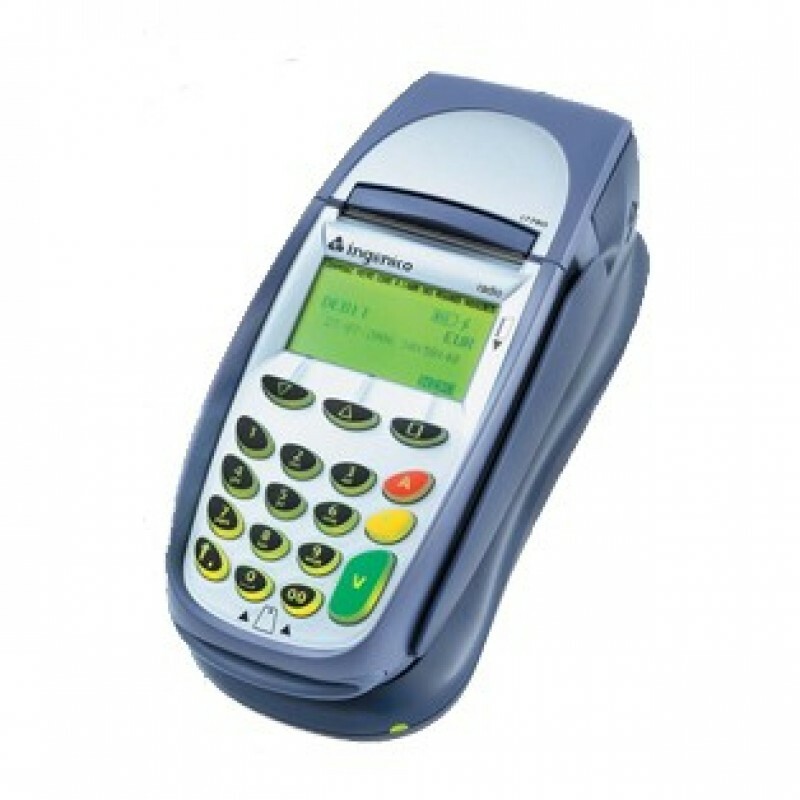 The Ingenico 7800 is available in 2 radio options, including enhanced 433 MHz or Bluetooth, which ensures easy communication with a PC, bar code scanner, printer and more. This unit is ideal for pay at the table restaurants. * Ethernet capability with dial-up backup, reducing transaction time. * Bluetooth technology that allows for fast and secure processing between the base and handheld device. * Durable hardware that can be handed to the customer during checkout. * On-screen battery and signal indicators. * The ability to process transactions at a 300 ft radius from the base unit. * The ability to serve up to 7 terminals on a single base.